Commercial conveyor ovens are necessary for commercial kitchens where certain kinds of food must be cooked quickly and in bulk amounts, such as in restaurants or bakeries that produce large amounts of pizza, cookies or other baked goods. A conveyor oven consists of a conveyor belt that moves the food through the inside cooking area, where hot air is continually blown on the food from both overhead and beneath, ensuring that the food is evenly cooked throughout. 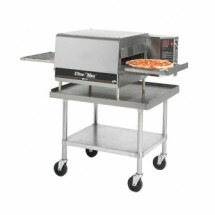 Shop TigerChef for conveyor ovens from Star, Food Machinery of America and Belleco. 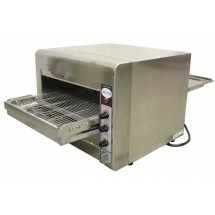 Star 314HX / 1PH Electric 14" Proveyor Conveyor Oven Sold As: 1 ea You're pre-approved for a cash advance! 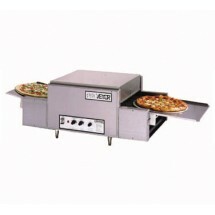 Star 314HX / 3PH Electric 14" Proveyor Conveyor Oven Sold As: 1 ea You're pre-approved for a cash advance! 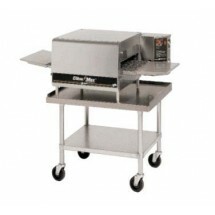 Star UM1833A Ultra Max Electric Conveyor Oven with 33" Belt Sold As: 1 ea You're pre-approved for a cash advance! Star UM1850A Ultra Max Electric Conveyor Oven with 50" Belt Sold As: 1 ea You're pre-approved for a cash advance! Star UM1850AT Ultra Max Electric Conveyor Oven with 50" Nonstick-Coated Belt Sold As: 1 ea You're pre-approved for a cash advance!